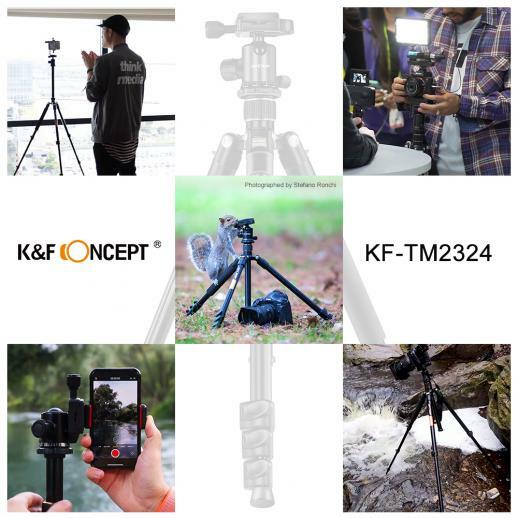 Buy K&F Concept tm2324 lightweight travel tripod for canon nikon dslr camera 62inch aluminum online, worldwide free shipping and 30 days return guarantee. 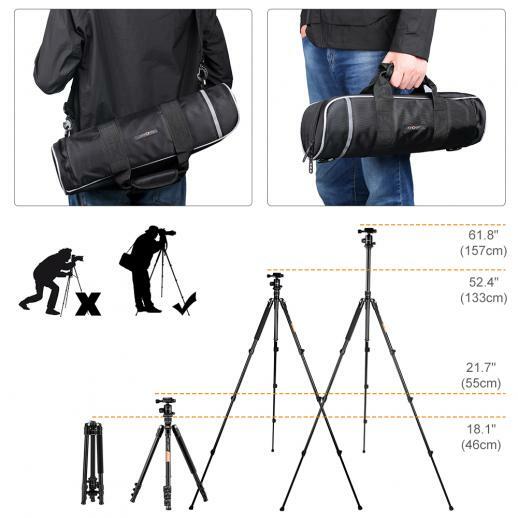 • Magnesium aluminum alloy tube, 180 ° foldable, suit for outdoor travel photography. 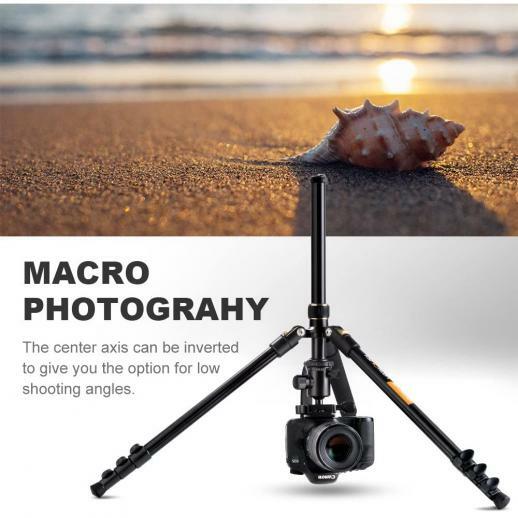 • Center column inversion, suit for macro photography and special needs. 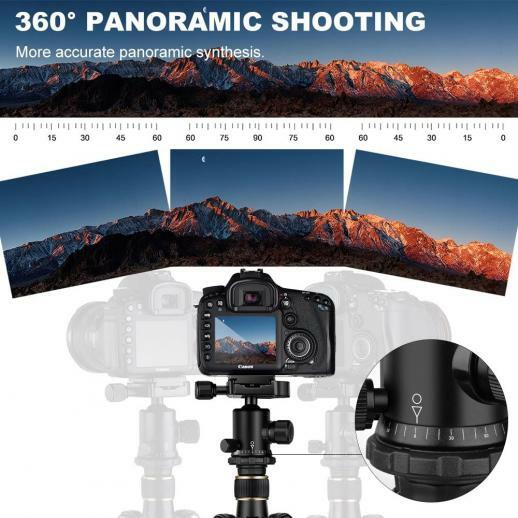 • 360° panoramic rotation ball head to expand camera activity range when shooting. 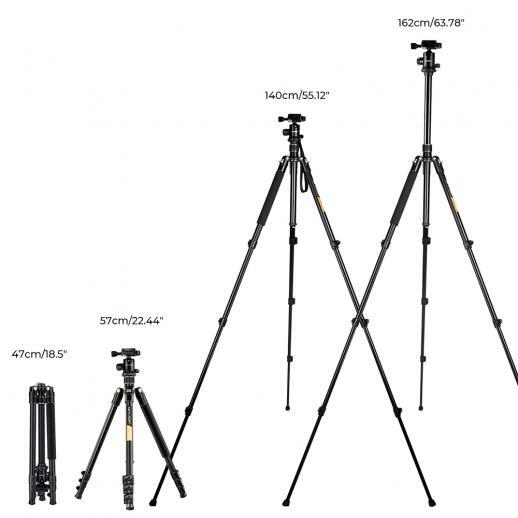 • Net weight 1.35kg only, super lightweight. 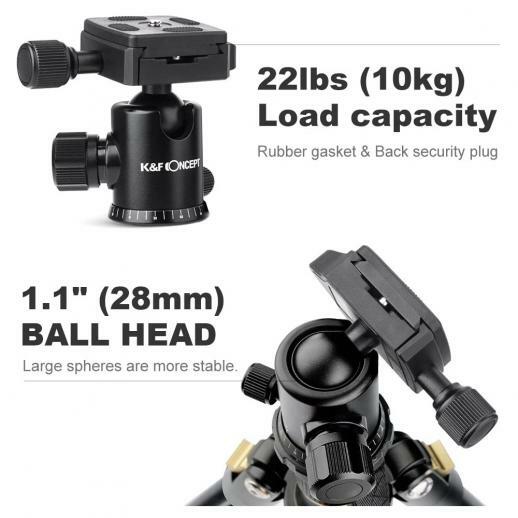 • automatic rebound hook to improve tripod stability. 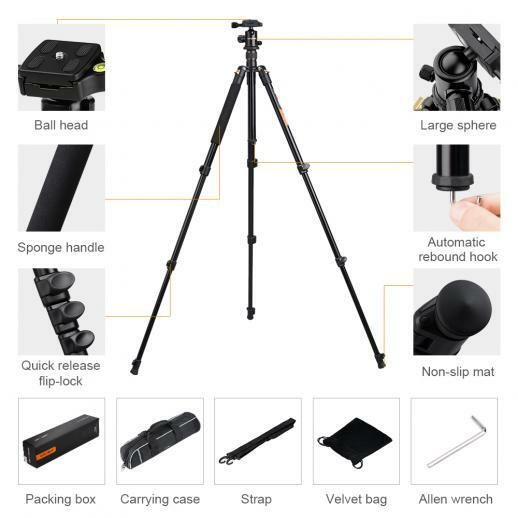 Solid tripod that can withstand the outdoor winds. We use this a lot over the weekend for my sisters wedding, particularly for the garden photos. It was windy but it never even nudged one bit. 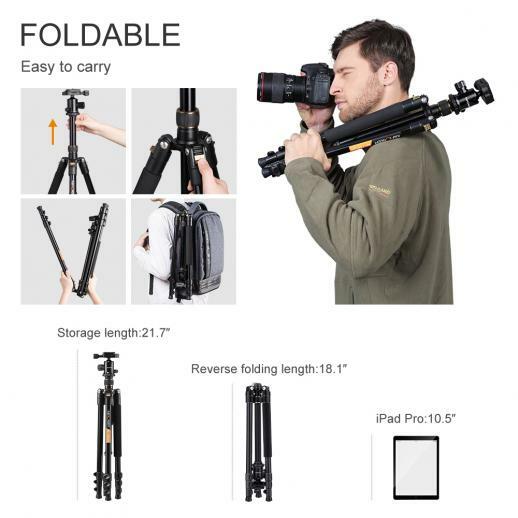 It folds up nicely and is quite light. use it everyday. no problems I would buy another one. Very solid build. Everything worked. Audible clicks when the bits are in position. Foam on the legs for cold places. I like it ! 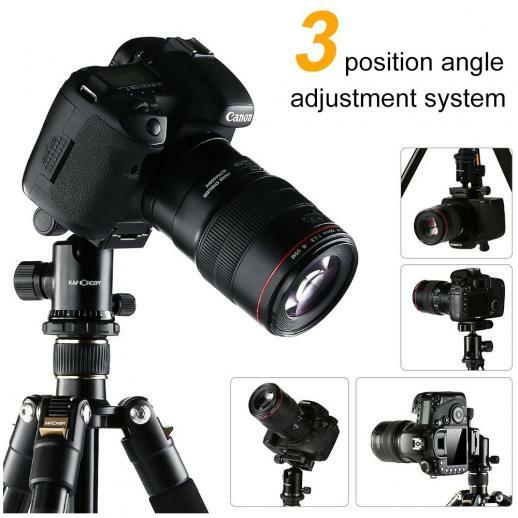 I am very happy with this product. 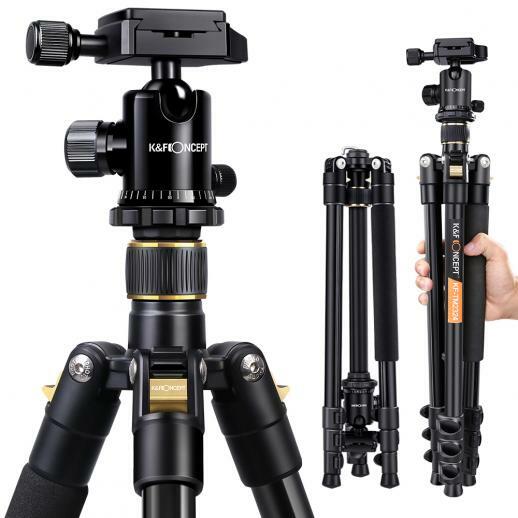 It is versatile, stable and lightweight. 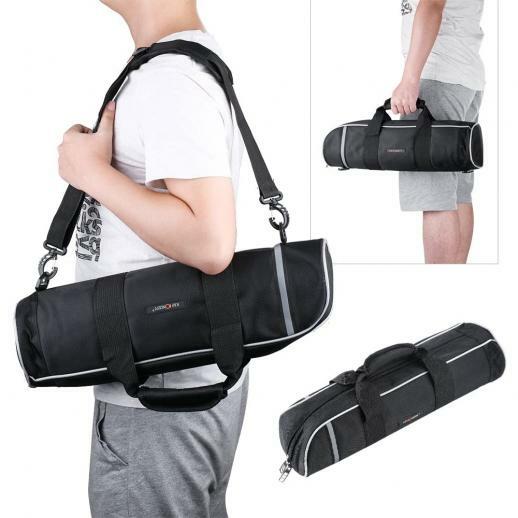 Great for travelling. Also, the delivery from Amazon was very fast!